Gorgeous, brand new to the exterior walls townhouse sited in Cedar Park, elegantly appointed, beautifully sun-dappled throughout and offering a private yard. Discerningly designed, boasting an open concept that offers ample area to delineate entertaining space, flowing into the kitchen featuring quartz counters, white cabinetry, upgraded stainless appliances, pantry closet and contemporary subway tile. The second level hosts two bedrooms, a study, full bath and laundry center. The master bedroom and en suite comprise the top floor with generous closet storage, and the master bath holds double sinks with marble vanity, linen storage, enhanced step-in shower and radiant floor-a luxury on those cooler mornings. With updates and upgraded everything using low-maintenance materials, this is a score! 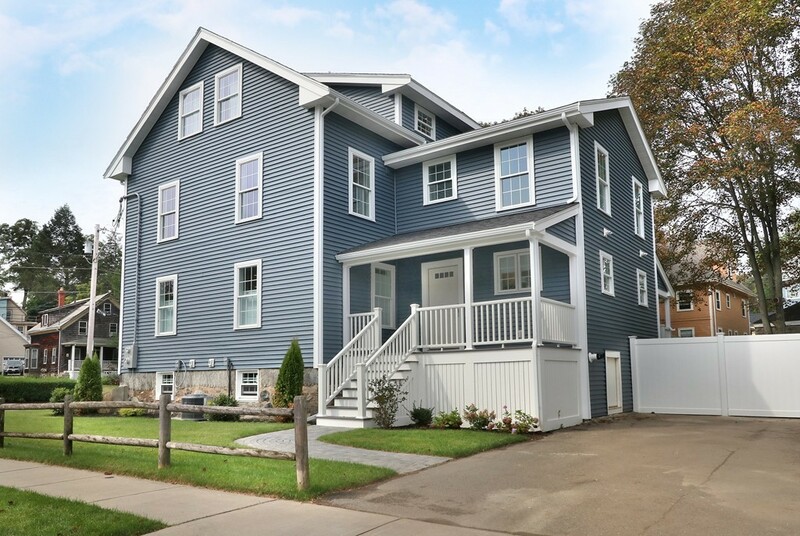 Steps to the train to Boston, bus, Cedar Park shops and restaurants, Farmer's Market, as well as our bustling downtown, you are ensconced in one of Melrose's most sought after neighborhoods!